Kantar, a data consultancy company, has released some interesting information about Nokia sales figure in US for the last quarter of 2013. By reading all these we have to say Nokia can give T-Mobile a big hug for helping to sell almost half of total sales alone. Of those 45%, 56% were low-end Lumia phones, most notably the 521. 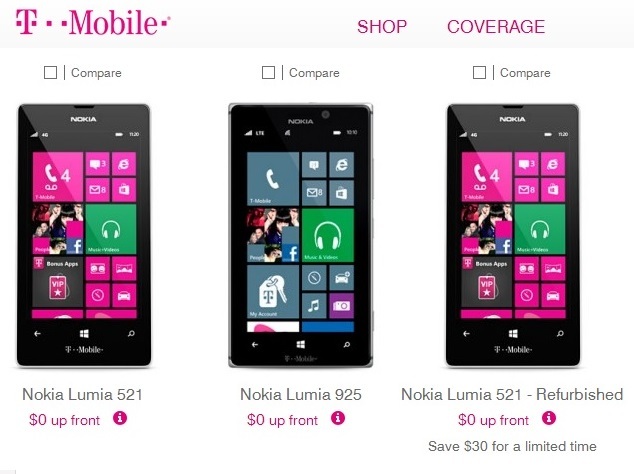 This leaves right around 32% of sales being premium handsets and flagships like the Lumia 925. According to other Kantar data, only 9 million US residents would choose a Nokia device over others, while 39 million more would at least consider one. In comparison to China where of their over 1 billion mobile users, some 57 million prefer a Nokia handset, while 123 million would consider using one. T-Mobile has started out the year strong with its acquisition of the 700MHz A-Block low-band spectrum from Verizon for $3.3 billion, and its agreement with Sony for exclusive sale of the Xperia Z1S - one of the few Sony devices to be offered by a US carrier in quite some time.